WHAT IF I FALL? 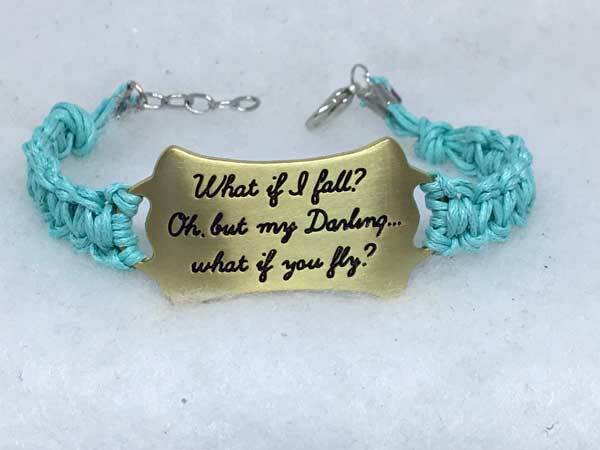 OH, BUT MY DARLING...WHAT IF YOU FLY? is complimented with beautiful aqua bamboo cord. The addition of chain at the lobster-claw closure, allows the length to vary from 7.5 to almost 8.5 inches.